JM mobile inspection app is now available for iOS and Android and is available in the app stores. With the mobile app, users can take and display pictures while conducting an inspection. Images capture during the inspection are part of the inspection report and can be viewed in the JM web portal. An image icon is displayed in the inspection if there is an image associated with that step. Inspections can be conducted with the app even without a network connection and the data will automatically sync later when a signal is available. JM Enterprise is designed for large organizations managing numerous operational locations across large areas. This structure allows users to remotely manage large numbers of dependent or semi-autonomous organizations. Users can create multi-level connections to suite organizational objectives. 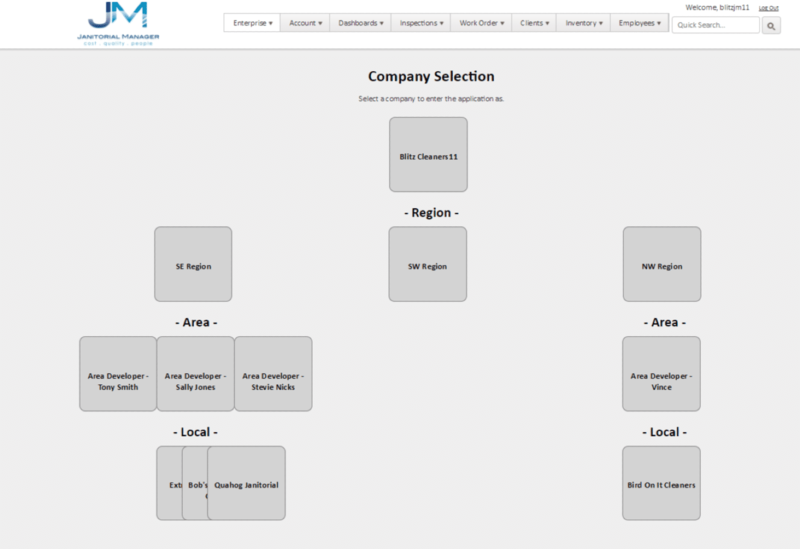 Each instance of JM can be managed centrally or operate as a stand alone entity. JM Messaging App – Communicate with employees and clients real time with a single application! ISSA Clean Times – Calculate, budget and track employee clean hours based on the ISSA standard. Routine Scheduling – Create recurring cleaning schedules for all your clients and assign employees. Detailed Client Facility Record – Easily create detailed client facility records including multiple locations, multiple buildings and multiple floors. Identify number of rooms, square footage, usage type and floor type.